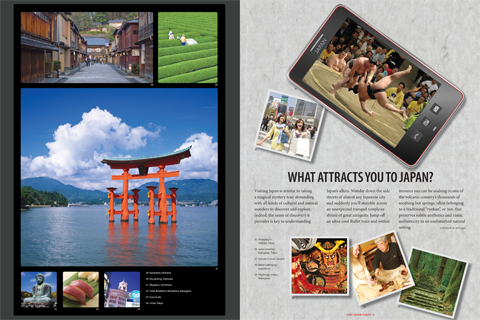 The Japan National Tourism Organization (JNTO) wanted to create a series of travel brochures targeting American and Western European travelers. 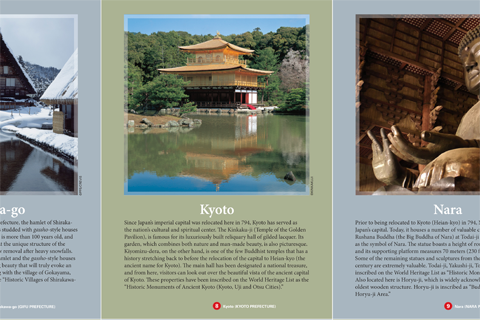 The desire was to emphasize, primarily through photographs, the intriguing duality of tradition and modernity in Japan. 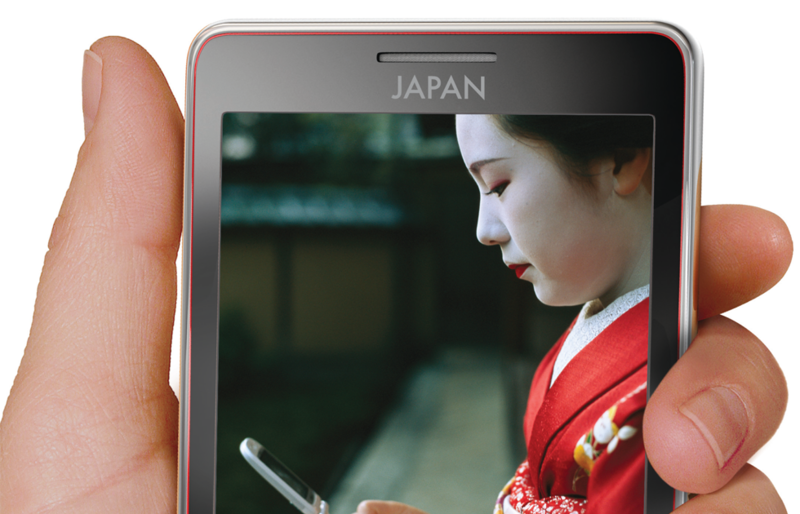 A 3D digital smartphone image was specially designed and created for this project. 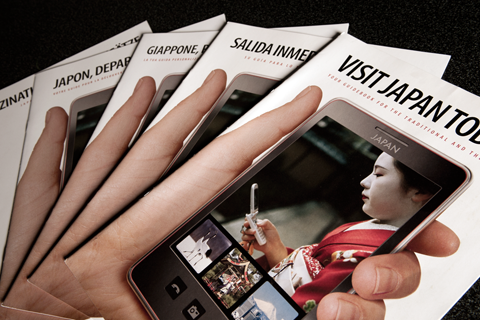 The new brochure was made available to potential travelers in five different languages. JNTO also teamed up with National Geographic and one of our designers to create a large format poster highlighting the many World Heritage sites in Japan. 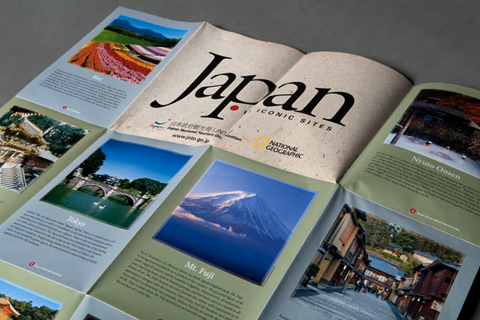 One side of the poster presented each location with an iconic photo, short description, and a code that could be quickly located on the opposite side map of Japan.